Policy Brief – Focus on energy system flexibility. The barriers and hence also policies to energy system flexibility are numerous. In this Policy Brief, we focus on policy recommendations for two important barriers to flexibility in the Nordic electricity market, namely insufficient market signals, and uneven market frameworks for different renewable energy resources. The brief presents seven major recommendations, which could mitigate the market barriers to flexibility and improve the access of renewable power to other sectors such as heat, transport, and gas, which have a large potential for increased flexibility. 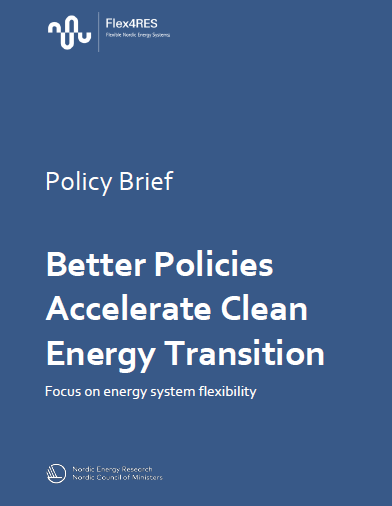 Download the brief Better Policies Accelerate Clean Energy Transition for free.